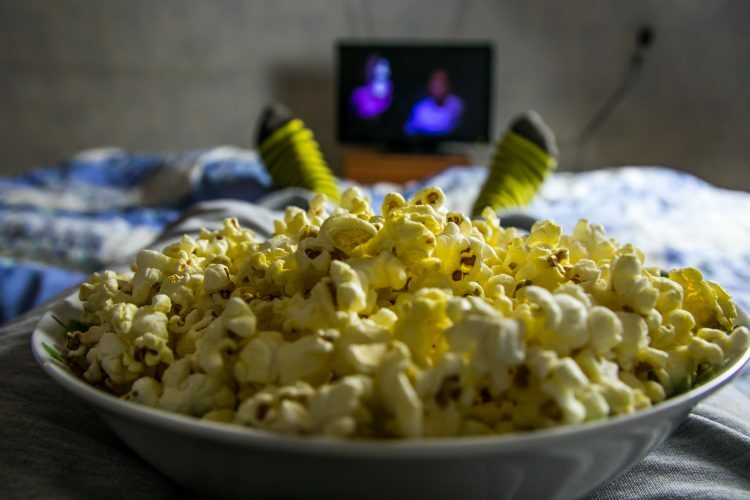 When temperatures start dropping and dusk starts taking place earlier, it’s hard to resist the lure of a warm blanket, a cup of hot cider, and a few movies to help you ease into the fall season. Want to purchase or stream movies for free courtesy of free gift cards? Sign up for iRazoo and start earning points that can be redeemed for gift cards to iTunes, Amazon.com, BestBuy, Redbox, and more! In the meantime, check out these 8 autumn-themed movies bound to get you into the spirit of fall and the upcoming holiday season. This Rob Reiner classic stars Billy Crystal as Harry and Meg Ryan as Sally — two friends who explore the concept of whether men and women can really just be friends. The movie is filmed in New York City, and spans the 12-year timeline of Harry and Sally’s relationship. One of the movie’s most memorable scenes feature Harry and Sally walking through Central Park in autumn, with gorgeous fall leaves underfoot. This first installment in the popular “Halloween” franchise follows the story of Michael Myers, a psychopath who murders his teenage sister at the age of six. Years later, 21-year-old Myers escapes from the psychiatric hospital to stalk Laurie Strode, played by Jamie Lee Curtis. This indie horror film directed by John Carpenter takes place on Halloween Eve and the day of Halloween. This comedy-drama featuring Bill Murray and Jason Schwartzman in his film debut explores the unlikely friendship of two guys who fall for the same woman, an elementary school teacher named Rosemary Cross. Schwartzman plays Max Fischer, a 15-year-old scholarship student at Rushmore Academy who spends his free time engaging in crazy extracurricular school activities and pursuing Rosemary. Most of the film takes place at the prep school, and will have you reminiscing about “back-to-school” days. This classic romantic drama is based on the book of the same title by Erich Segal. The film stars Ali MacGraw as Radcliffe College student Jenny Cavalleri and Ryan O’Neal as Harvard hockey star Oliver Barrett. The duo meet in Cambridge during the fall semester and fall hopelessly in love with one another, despite the couple’s vastly different backgrounds and the many roadblocks that keep them apart. This back-to-school classic takes place in 1959 and features Robin Williams as John Keating, an eccentric English teacher who inspires his students using unorthodox teaching methods. William’s character inspires a shy senior student named Todd Anderson to revive the Dead Poets Society club. The film’s fall prep-school setting is bound to inspire you to check out poetry books from the library. Opening in New York City at the onset of the fall season, this romantic comedy follows the story of two bookstore owners played by Tom Hanks and Meg Ryan who fall in love via a chat room on the Internet. Hanks’ and Ryan’s characters couldn’t dislike one another more in real life; but online, the two are a match made in heaven. The movie spans all seasons, but its most memorable quotes and scenes take place during autumn. Based on the real-life memoir by Homer Hickam, Jr., “October Sky” is set in fall of 1957, when a young Hickam becomes obsessed with building rockets after seeing Sputnik travel overhead in his small mining hometown. The film stars Jake Gyllenhaal as Homer Hickam and Chris Cooper as Homer’s dad, who fails to see eye to eye with his son and his love for rocketry. This comedy-drama stars Matt Damon as genius Will Hunting, who works as a janitor at Massachusetts Institute of Technology. After anonymously solving a complex math problem left on the chalkboard, Hunting teams up with therapist and psychology professor Dr. Sean Maguire, played by Robin Williams. Maguire talks Hunting through his life problems, and inspires him to think about his future beyond being a janitor. The movie is set against the backdrop of chilly fall in Boston. Interested in adding to your movie collection for free? Sign up for iRazoo today and start earning points that can be redeemed for gift cards to your favorite retail stores. Watch videos, complete surveys, and search the Web to earn gift cards doing the things you love online.